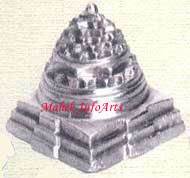 It is Meru shree yantra made of Parad i.e. Mercury , Silver and herbs in soild form. It is one of the most auspicious, important and powerful Yantras, which not only gives the maximum benefit, but also proves beneficial for almost everybody. It is the source of attaining all worldly desires & fulfilling all wishes through inner cosmic power & mental strength. "Shree Yantra" - Shree meaning wealth and Yantra - Meaning "Instrument" - The Instrument for Wealth made by Parad and energized by Vedic rituals to give you maximum benefits. It brings about material and spiritual wealth. It has that unexplained power to fulfill all our wishes and change our life for the better. It is definitely the answer to all the problems and negativity in our life. Any Person using it achieves much greater affluence , peace and harmony. It helps in breaking all the Obstacles in our life. It helps us push indefinitely and easily the limits of growth - both spiritually and materialistically. There are negative energies around us in greater or smaller magnitude. These negative energy stands in our way of achieving greater success , affluence , Harmony and Peace . 1. 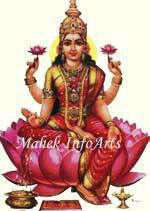 Goddess Lakshmi permanently resides in parad shri yantra. 2. It bestows wealth and happiness to the natives who keeps it. 3. There will be ample supply of food and ornaments in the house. 4. It protect the house from all negative energies. 6. It is the source of positive energy. Many times we find that life is out of our control. We find ourselves in a position of Extreme stress , lack of peace and harmony , high degree of anxiety , friction in relationship with others , Bad investments , faltering business , stagnation in life and profession , decreasing financial prospects , insecure feeling , repeated failures and sheer bad luck - Though we involve our best efforts , hard work , intelligence and good intentions . 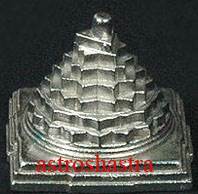 Therefore where Parad Shree Yantra is placed, destroys all destructive forces within the vicinity. It is credited with supreme hidden powers which can be noticed within a short span. Astroshastra would send you the enerziged Yantra in your name , to let you get the ful benefits of it. 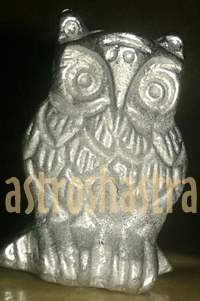 Please feel free for any information or clarification in this regard at consut@astroshastra.com.